Wow, this week really flew by! I’m not complaining though. I love me some weekends! It’s hard to believe that fall is right around the corner but in the mean time I’m going to try to absorb what’s left of summer. Hope you enjoy this week’s Dose of Delight; a mini-round up of things that I’ve come across that delight or inspire me and hopefully enthuse you too! Although, I have to admit my first pick is definitely for selfish purposes, but I am definitely not the only gal who deals with this! So I don’t think I mentioned that we booked a cruise for this fall down to Central America. Of course I realized I better get off my boot-tay and start working harder on this winter weight I’ve been carrying around. That’s right, summer is practically over and I’m still talking about winter weight. Ummm…I’m pretty sure once your husband carries you over the threshold that you’re suddenly cursed with a sluggish metabolism. You know that common joke “oh if I eat that, it’ll go straight to my thighs"? Well there is scientific evidence out there that this is indeed an actual fact for me. I eat a fry and I immediately gain five pounds. True story. So last week I laced up my gym shoes and subjected myself to the worse, possible torture ever…….running. Ugh, I hate running. I have to admit though I think I’m finally getting that runner’s high and I’ve been finding myself jonesing for it. Proof that I’ve gone mad. 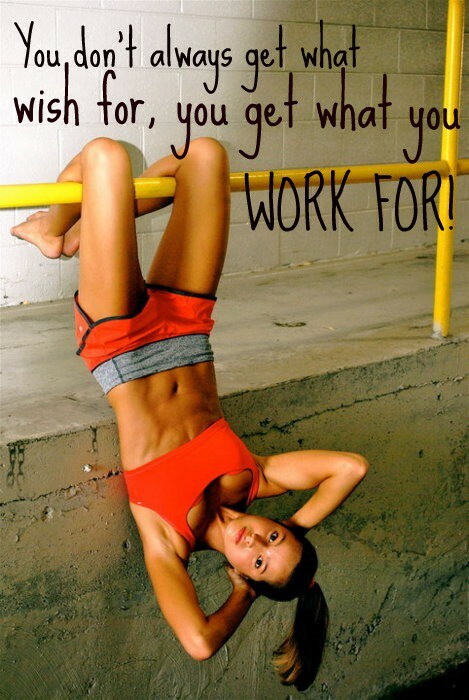 In the mean time, I've been pinning away motivational pictures over on Pininterest. Looking at women you love to hate is always inspiring.........or depressing. Want to play a game? Remove any art from the walls in my home and then count how many holes are in the wall! Ahhh, the secrets we sweep under the rug, or in this case behind the frames. I’m horrible at hanging wall décor and a beautiful gallery of pictures like this photo above gives me sweaty palms just thinking about it. Thankfully, Pottery Barn has a slew of helpful tips and tricks on how to style your walls. I am a major lover of black and white pics so this one definitely caught my eye! The paint color is gorgeous too. Hope everyone has a delightful weekend! Oh how I hate running too! (and I've YET to get that high everyone talks about) But so excited for your trip - that will be awesome!! Have so much fun on your cruise!! I am soooo jealous! I have that gallery wall saved on my computer too, its a great one. I love these pictures!!! That first one is so inspiring. 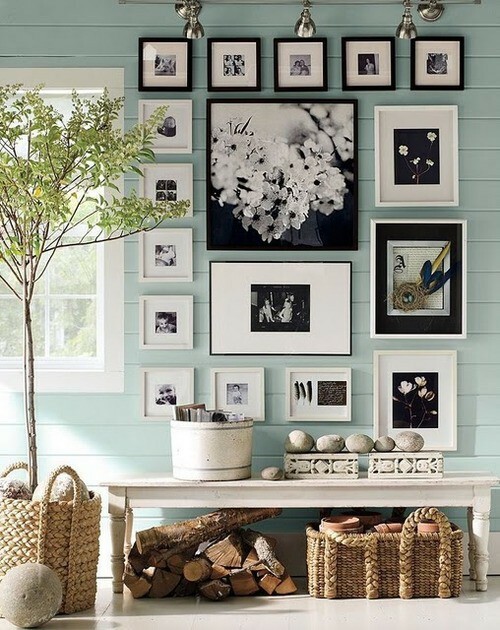 And that gallery wall is gorgeous!! I hope you have a great trip!!!! !